Francis Mawusi Ahiabenu has gone missing since Friday, March 22. 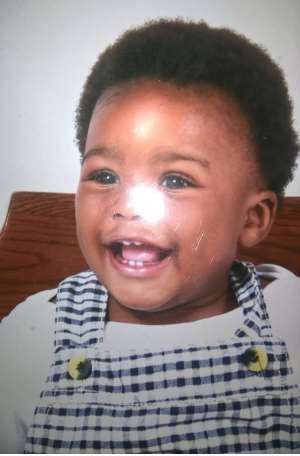 Nana Akosua is calling on the general public to help find her little boy. 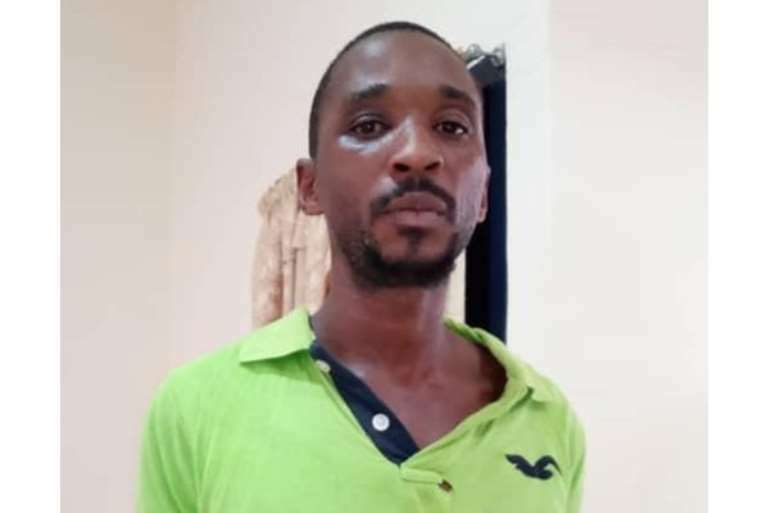 Meanwhile, Police and residents of Takoradi are on a manhunt for the middle-aged woman believed to have stolen one-year-old Mawusi from his mother. Leonard Quansah, a family member, says they are trusting the police to do a good job, since the CCTV camera of a nearby bank captured the unidentified woman, cuddling the baby as she moved away from the market. Little Francis Mawusi is not the first child to go missing in Takoradi. Three girls – from separate families – were taken from various locations in Takoradi since last year and nothing has been heard about their whereabouts. Priscilla Blessing Bentum, 21, was the first to be taken in August 2018. The student left home for choir practice but never returned. Her worried father reported her disappearance to the police 24 hours later. It is now known that she was abducted at Kansaworodo, a suburb of Takoradi, an oil-rich town. Eighteen-year-old Ruth Love Quayeson took a cab ride from her home in Diabene to the Butumagyedu Junction and is yet to be seen again. Priscilla Mantebea Koranchie, 15, was last seen on December 21, 2018. She told her younger siblings she was taking a walk to a nearby town, Nkroful and since then no one has heard from here. Parents of the girls in many instances have gone on demonstration to demand swift action from the police force in the search of their daughters. The prime suspect Samuel Udoetuk Wills, a Nigerian, once broke cells and was re-arrested after a manhunt. The police have not been able to gather any meaningful information from the suspect on the whereabouts of the girls. 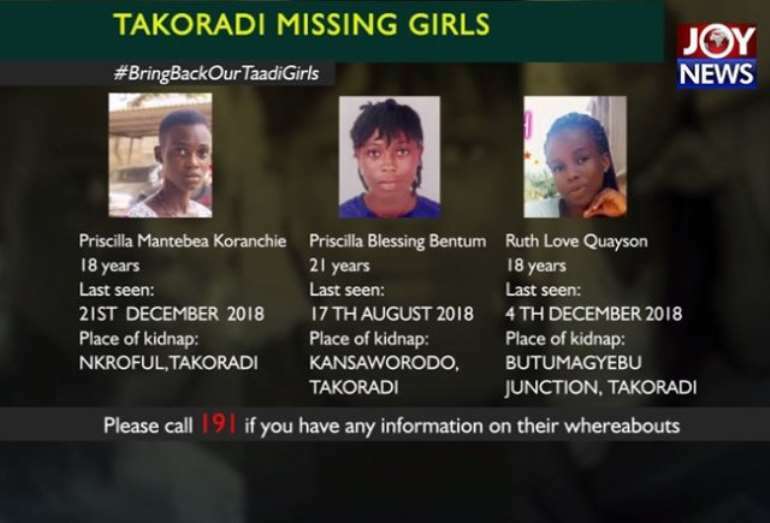 In January 2019, Gender and Social Protection Minister, Cynthia Morrison stated there are strong indications that the three missing Takoradi young ladies reported kidnapped since last year are still in Ghana. However, no news about the whereabouts of the girls has been heard. Joy News launched a campaign in a bid to mount pressure on the police and engage the citizens to help find the missing girls.